Have you ever watched footage of people who have been victims of a natural disaster — fire, flood, hurricanes, etc., — and wondered what you could do to help? Donations don’t necessarily have to be in the form of money, which can often take too much time to reach those in need. In many cases, those people will need food, shelter, and clothing immediately after the disaster. The Red Cross often organizes a Red Cross clothing pickup after such an event occurs, where you can donate clothes or other household goods. 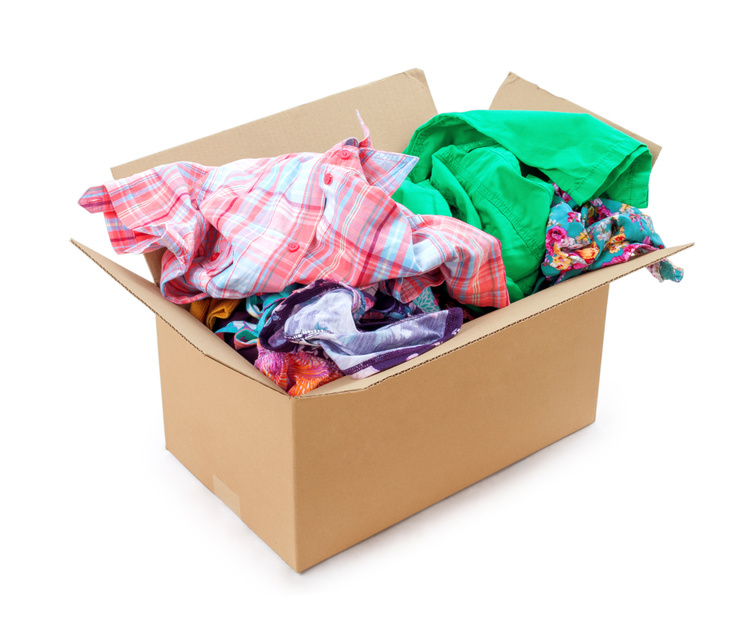 However, there are also other charitable organizations that take used clothing donations year round, and if you’re interested in donating at any point in the year — not just when a natural disaster occurs — checking in with them about their needs and what they’re looking for can be an excellent idea. Why Is Donating So Important? Around 70% of people who live in the United States give to charity on an annual basis and the total American income that’s donated to charities every year is around 3%. Giving back to the community is a huge reason why people give — indeed, over 60% of donors who give substantial sums of money say it’s their chief motivation for doing so. Giving back feels good and it’s an easy to way to garner some personal satisfaction. When you give back, you also set a good example for your children, who may be more philanthropically minded, watching you do so. You’re also helping make your community and the world-at-large a better place to live. When those who are in need have a boost in their quality of life, that often means a better quality of life for those around them too. Your simple donation can have a real ripple effect. Did you know, for example, that over 14 million tons of American textiles that are donated help clothe families and individuals all across the world? Furthermore, donating instead of throwing out cultivates a more thoughtful mindset. The Environmental Protection Agency estimates that we throw away about 10 pounds of clothing per person on a yearly basis. We as Americans purchase around 20 billion pieces of clothes annually — per person, that breaks down to about 68 garments and seven pairs of shoes, or over one item of clothing bought per week. “Fast fashion” hasn’t helped that consumption and now more than ever, clothes that are in perfectly good condition end up in the landfill. How Can Red Cross Clothing Donations Help? The American National Red Cross is the thirteenth largest charity in the United States, per private donations. In 2014, it received over $650 million in private donations. Its mission is to give relief to families and/or communities 24/7, 365 days a year, by providing blankets, food, blood, and shelter. When a disaster hits — on a domestic or often international scale — the Red Cross are often one of the first emergency aid organizations on the scene to assist. By participating in Red Cross clothing donations, you’re helping individuals and families get back on their feet after a devastating incident and helping fund disaster relief when the need strikes. Luckily, there are Red Cross centers all across the United States and many organize a Red Cross clothing pickup, especially if it’s on a larger level (such as a corporate drive). In addition to calling your local Red Cross center and scheduling a Red Cross clothing pick up, you can also drop your donation off at a local drop-off box. Check your local Red Cross center’s website to find the telephone number to call in order to schedule a pick up or for any further information. You may also be able to find more specific guidelines on what they’re looking for — and other ways to donate or volunteer your time. Make a difference when you participate in a Red Cross clothing pickup. With just a little research and a phone call, your gently used clothes can be used for the greater good.